The Ritz-Carlton Residences, North Hills was recently featured in Brick Underground. Read excerpts from the story below. Imagine a place with the active urban lifestyle of Manhattan, the tranquility of Long Island, and the luxury amenities of a five-star hotel, and you’re getting close to The Ritz-Carlton Residences, North Hills. You might think you know what it’s like to live on Long Island, but the paradigm has shifted with this development by RXR Realty. The Ritz-Carlton Residences contain 244 luxury condominiums spread over 17 verdant acres in the village of North Hills, 20 miles east of Manhattan and 60 miles west of the Hamptons. It’s the best of both worlds. RXR developed the project in partnership with The Ritz-Carlton, the award-winning hotel company renowned internationally for legendary service and amenities. The Ritz-Carlton manages the property, and every employee, from the general manager to the porter, receives the Ritz-Carlton training on which the company has built its reputation. It’s a lock-and-leave lifestyle of the highest quality. 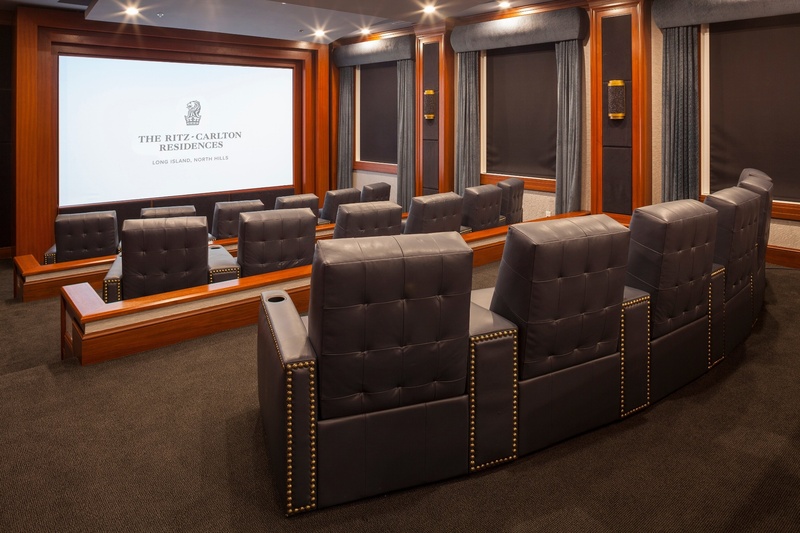 The Ritz-Carlton Residences offers unparalleled amenities to residents, including a movie theater, golf simulator, playground, fitness center, game room, lounge and indoor and outdoor swimming pools. 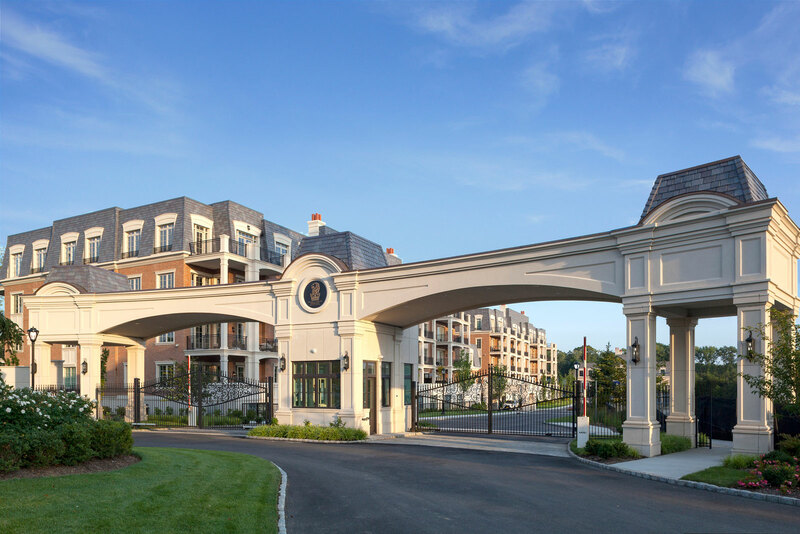 The porte-cochère and the grand entrance gallery make a strong first impression on residents and their guests, while the coffee and espresso bar and private terraces provide a calm place to relax and enjoy yourself. With 24-hour concierge, valet parking, doormen, porters, and security the services can’t be beat. The Ritz-Carlton Residences’ concierge service can provide a Cadillac Escalade to transport residents to and from the Manhasset LIRR train station—just a 30 minute commute to Manhattan. Housekeeping, pet care, dry cleaning/laundry, handyman, personal training, and while-you’re-away services are also on offer for residents. North Hills, ensconced on Long Island’s North Shore, has long been lauded for its fine schools, shopping, dining, and recreation. Nearby Manhasset is home to several top-rated restaurants and eateries, the Americana Manhasset luxury shopping center, the historic Onderdonk House, and Bow Tie Cinemas, one of the oldest movie theatres in the country. The Nassau County Museum of Art is nearby, as are a plethora of world-class golf courses, such as North Hills, Deepdale, and Fresh Meadow Country Clubs. But make no mistake: this is no sleepy bedroom community. 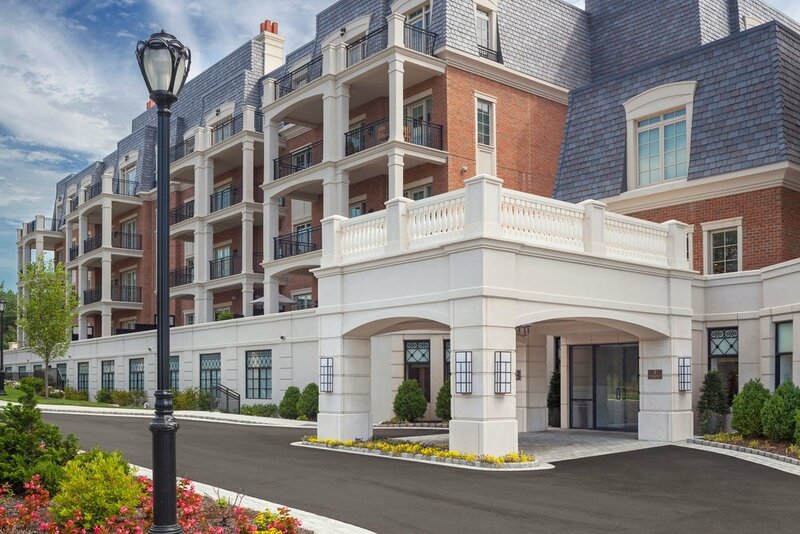 The crowd at The Ritz-Carlton Residences is a vibrant mix of people who value the lifestyle and freedom of Long Island but crave a communal feel more typically associated with the city. “It’s a new way to live on Long Island,” Graziose says. “Quality new construction, the legendary services of The Ritz-Carlton, and only 30 minutes to the greatest city in the world, at a fraction of Manhattan prices for similar quality." The Ritz-Carlton Residences are breaking records for Long Island at about $1,100 per square foot, or $1.6 million to $5.9 million per unit. But compared to Manhattan’s twice or thrice-as-high prices, it’s a strong value. And you get more space, without compromising on quality or the community.